McCall is home to some the best riding Idaho has to offer. Below you will find a small sampling of what's available here and some great suggestions to start exploring the area. 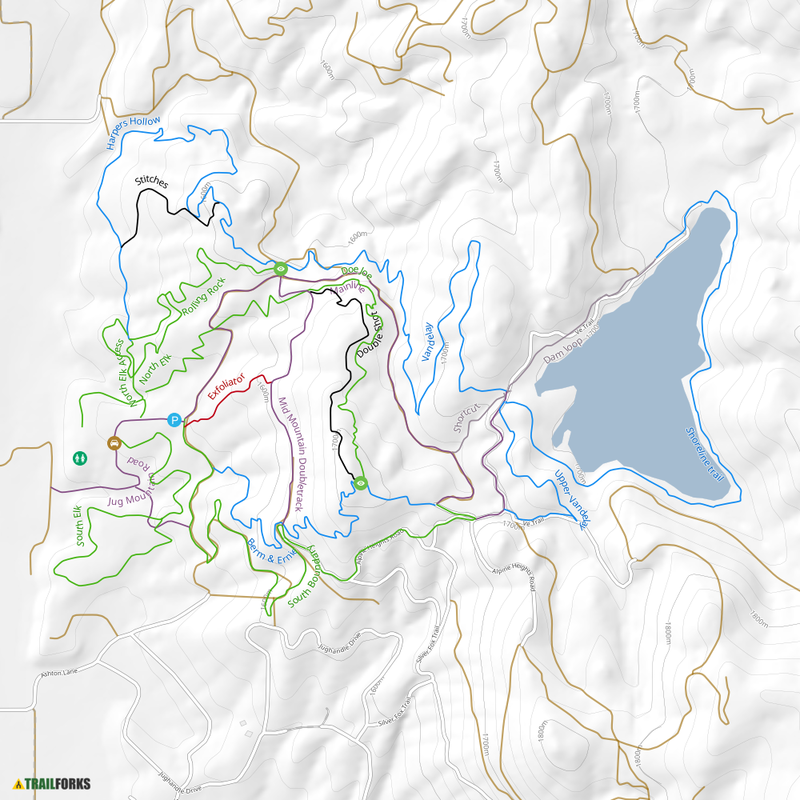 For a more complete (and portable) map, support CIMBA by buying the "McCall Idaho Trail Map” from a local retailer, or online at Adventure Maps. Located just north of McCall, the Bear Basin trail head is about one mile north off Hwy. 55. Watch for the Bear Basin sign on the right (not the first lookout turnoff). The trail system flows through meadows, vistas and wooded areas. There is also a pump track and the infamous “Drain” flow trail. Riding available for beginners to experienced riders. At the parking lot there are toilets but no other services. Explore some of the states premier single track winding through the meadows and Ponderosa forest at the base of Jughandle Mountain. The terrain offers something for everyone whether you’re a beginner out to enjoy the rolling, buffed out singletrack to an expert looking for technical features and fast flowy descents. Located about 10 minutes South of McCall, follow Highway 55 to E. Lake Fork Road and take a left. Follow E. Lake Fork to the entry of JMR. Proceed straight and park above the clubhouse. Paid shuttle service is also available on select days. Visit the JMR Website for more information.